2006 doesn’t seem like such a distinguished year for movies. Coming up with our collective top ten didn’t seem to invoke excitement so much as reluctance. Several of us warned that we weren’t certain we could come up with ten movies that deserved a spot on the list. Two of us abstained on much of the list. Part of the reason is personal; both Marty Mapes and Matt Anderson, our two most prolific contributors, took “real” jobs to supplement their meager movie incomes. And many of our other contributors didn’t feel like they saw enough of the big movies to make an informed judgment. Nevertheless, guided by the wisdom of crowds, Movie Habit has compiled a respectable top ten list, a composite put together from the lists of eight thoughtful film critics. If you find yourself wanting more, you can also read all of our picks (Next Ten of 2006) , along with each contributor’s top ten submission. And Marty Mapes is once again posting his votes for the OFCS year-end awards on Movie Habit (2006 OFCS Voting Record). An Inconvenient Truth is scary stuff; it paints a gloomy future ravaged by global warming. But it also prescribes solutions, many of which are within the power of every individual. 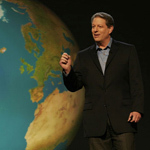 As for the movie’s messenger, Al Gore, it’s compelling to see this man on a mission. Unlike the stiff, poll-directed automaton of presidential elections past, here Gore speaks with confidence and energy. Smartly breaking things down to easily understood concepts, Gore sums it all up by stating that old habits and old technology lead to predictable consequences. To change those consequences, we need new technologies. An Inconvenient Truth may be the antithesis of cinema (a friggin’ power point presentation!)... but it’s an example of how movies are still a an important medium by which to communicate with the population at large with a timely message. Which, in this case, is that we’re all going to die! Unlike the typical bank heist flick, Inside Man isn’t about the money. Indeed, instead of representing the embodiment of dreams come true, at one point the bank’s bricks of bills are casually used as impromptu stools while the perps strategically await their next move. Part of the fun, then, is to figure out the true motivation behind Dalton Russell’s assault on Manhattan Trust. What exactly is going on is a mystery through much of the movie – and the less a viewer knows about the storyline going in, the better. It’s a puzzle that, buoyed by an impeccable cast and Spike Lee doing what he does best, makes for a highly entertaining drama. Amid its scenes of cultural and economic differences, clashes, and tensions, Inside Man offers a nice, simple tidbit of truth that resounds in light of the main characters and their individual stories: Respect is the only currency. Jarecki does the obvious by asking everyday Americans why we fight. “Freedom” is an easy response that many people give. But Jarecki shows us that there’s something more to the answer than that, and even persons-on-the-street will give you a more thoughtful answer if you give them time. Thankfully, most of the subjects interviewed in Why We Fight are a little more knowledgeable than your average American. Chalmers Johnson, formerly of the CIA and author of several books on foreign policy comes across as the most informed and informative of the smart bunch. The movie can be frustrating — not because the filmmaking is bad, but because American policy and practice is so bad. Jarecki shows that many experts and civilians know how bad it is, and yet here we still are, stuck in a quagmire. Can a photograph change the course of history? Maybe it’s unfair to lump these two films together, but Eastwood made them together; they tell two sides of the same story; and together, they say more than they would individually. 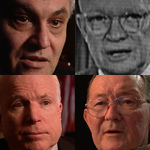 Flags of Our Fathers tells a very deep story about the political machinery of war. Four soldiers do nothing more meaningful than to help raise a flag over one little hill, but a photograph catches them in the act and the power of that image changes the course of the war. A lesser director would oversimplify and sugar-coat the story, but Eastwood has a lot on his mind, and it all comes out in the film. 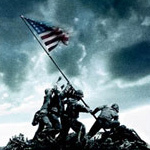 Letters from Iwo Jima is a more straightforward war film, except that it’s told by an American from the Japanese perspective. Letters is a snapshot of the early symptoms of death. The sun is setting on the Japanese empire, militarily and culturally. Some would rather die than change, and many do. Rocky Balboa is the iconic “Good Man.” He found one good woman, Adrian, and together they tackled life’s obstacles. A good-hearted hooligan, Rocky never lets his grip slip on the pursuit of happiness. Sylvester Stallone created his own formula with the Rocky movies and sometimes the results have been mixed. Nonetheless, he has taken his cache of characters through an epic journey. 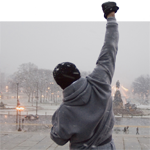 One of the amazing things about Rocky Balboa is how little the boxing matters. It takes a back seat to the far deeper themes that run like a raging river through this movie. Yes, there is a big fight at the film’s end. But it’s a relatively good-humored exhibition match. Essentially, this is the Gospel According to Rocky. Stallone deftly and sweetly tells a timeless tale of the human spirit, filling the screen with iconic imagery of Rocky that hasn’t been seen in any of the previous movies. This remake of a Chinese cops-and-gangsters movie ( Infernal Affairs) has a very simple premise: two double agents work against each other, neither knowing the identity of his counterpart. The movie has several very good set pieces, such as the big sale of stolen microchips. The last-minute deal is hastily surveilled by the cops, with both sides having just learned that the other side has a traitor watching. The gangsters want the deal to go through before the cops move, while the cops have to wait until they have enough evidence to nab them. All the while, two nervous moles surreptitiously try to get information to the other team. The Chinese film may have been tighter; it has the edge when it comes to pure adrenaline-pumping tension. But what director Martin Scorsese adds is a greater emphasis on characters. After all, if you’ve got the star power (Leonardo DiCaprio, Matt Damon, Jack Nicholson, Martin Sheen, Mark Wahlberg and Alec Baldwin) assembled here, you probably want to make sure that everyone gets his scene, rather than hurry from plot point to plot point. Longtime editor Thelma Schoonmaker does an excellent job of pacing the movie, and there are just a few flourishes at the big showdown that reveal a creative mind at work in the editing room. What does “fair trade” really mean in the world of coffee? This gripping and beautifully produced documentary answers that question by looking at one man’s struggle to get fair compensation for coffee growers in Ethiopia. 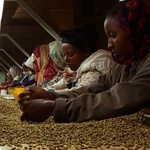 The film centers on the efforts of Tadesse Meskela, the general manager of the Oromia Coffee Farmers Co-operative Union, who travels the world to market the coffee produced by his co-op and to negotiate better prices for the African country’s product. He repeats a simple message: Africans are not fairly compensated for their crops. Black Gold also explores the broader context of coffee by taking us to the world barista championships, to cafes where coffee drinkers and gung-ho Starbucks managers are oblivious to the plight of the impoverished growers half a world away, and to the Italian headquarters of Illy, where professional tasters agree that the quality of the coffee from Ethiopia is some of the finest in the world. We see the international commodities trading floor and the scene of the WTO talks that influence African trade policies — often behind closed doors, closed even to the representatives of the nations most affected by these policies. While these scenes and Meskela’s impassioned words build a strong case for fair trade policies, the most haunting is the scene at an aid tent in a spindly toddler gets weighed and sent home with her mother without help because she’s only “semi-malnourished” and so doesn’t qualify for their aid. The plot might sound contrived (it involves an epileptic taxidermist who amuses himself by plotting the perfect crime), but director Fabian Bielinsky’s simply playing with you, just like he did in Nine Queens. Only this time he’s taken on a much more serious tone. The Aura starts out slow, establishing the lead character, Esteban Espinosa (Ricardo Darin, who also starred in Nine Queens) as a bright man, talented, but one who suffers from epilepsy and who also has a dark side that becomes quite evident while on a hunting trip with one of his buddies. A novice hunter, Esteban accidentally shoots and kills a man in the forest. That calamity serves as the catalyst, thanks to Esteban’s morbid curiosity, wherein Esteban becomes embroiled in a real heist. As the story quietly unfolds, the film becomes more and more involving and viewers ultimately find themselves rooting for a bad guy. The Aura is a great piece of filmmaking and storytelling. Sadly, Bielinsky died of a heart attack in June, bringing an extremely premature end to the highly talented Argentine director’s blossoming film career. While technically competent, the value of United 93 will ultimately be gauged by the quality of the discussions it generates. Going on five years later, the merits and motives of making movies based on the events of September 11, 2001 are questionable. 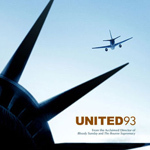 United 93 doesn’t tell the stories of the lives lost that day, it only tells how those lives were lost, based on the research of British filmmaker Paul Greengrass. Starting off with the lead hijacker of flight 93 reading from the Koran, the tension begins from the first frame. Greengrass effectively captures the monotony of the airport waiting area, the mundane routines followed by ground personnel and airline crews getting a flight ready, and the quiet boredom of air travel. All of that is buffeted by the built-in tension, since the outcome is so well known. Watching United 93 is a taut, uneasy experience and it certainly doesn’t provide any sense of comfort that we’re more secure as a nation today. If this film in any way sparks more people to refuse complacency and remain vigilant, then it can be considered a success..
Factotum is that rare cinematic feat. It reworks and improves upon its literary source material, in this case a novel of the same name by the poet Charles Bukowski. In 1975 Bukowski wrote his crude, raunchy, and ribald tale about a man who works simply to afford that next stiff drink. Sometimes he’s a maintenance man, sometimes a shipping clerk, sometimes a janitor. What he really wants to be, though, is a writer. He is constantly hitting up editors, sending them three or four stories every week; his stories are handwritten because he can’t afford a typewriter. Factotum is a dark comedy. It’s not exactly a black comedy, but rather a thoroughly jaded look at the workaday world as seen through the eyes of an alcoholic writer.